The job a store manager is quite a versatile one that is relevant both in case of small scale as well as large industries. Besides managing the overall functionalities of the store, the Assistant Manager Resume is responsible for taking care of day to day matters of a store to ensure that his store or company can achieve maximum profitability. 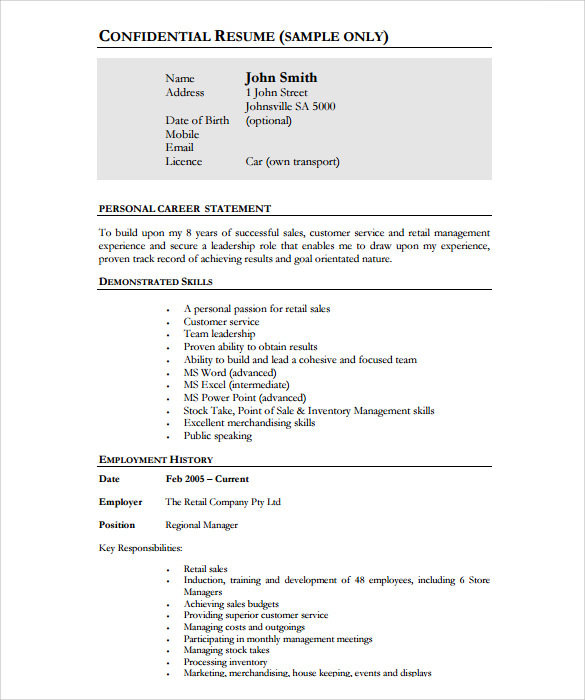 These resume examples would give you a good idea of what is the primary requirement for the position of store manager in any company. 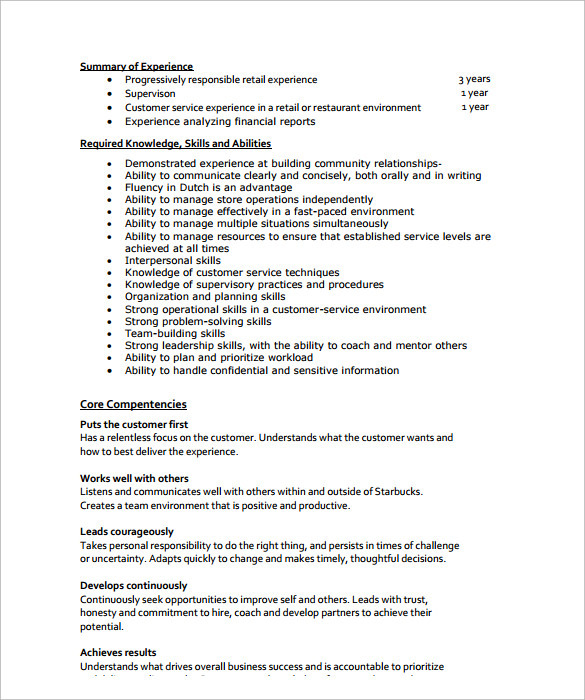 This example of store manager resume is available in downloadable PDF format. This resume lists down the areas of his expertise in italics on the left hand panel, which attracts attention. A summary of his personal work experience, skills, and academic qualifications is given on the right hand side in a very systematic and concise format. 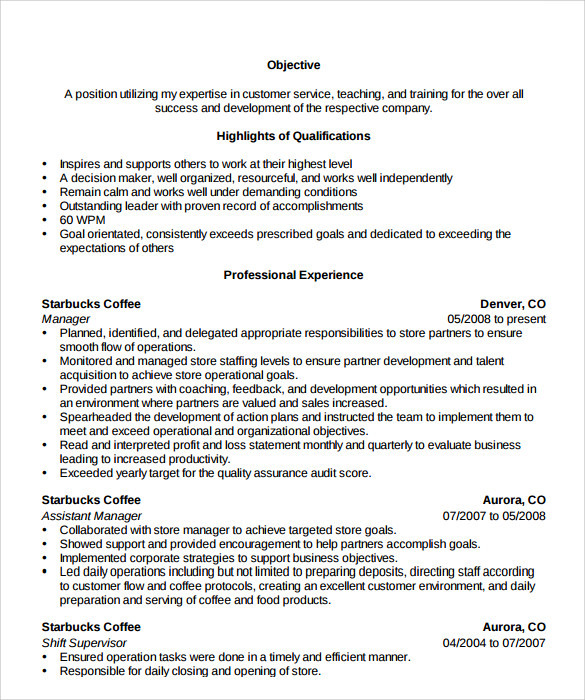 This example of store manager resume sample, stands out in the crowd by its sheer virtue of color scheme and images used in the template. 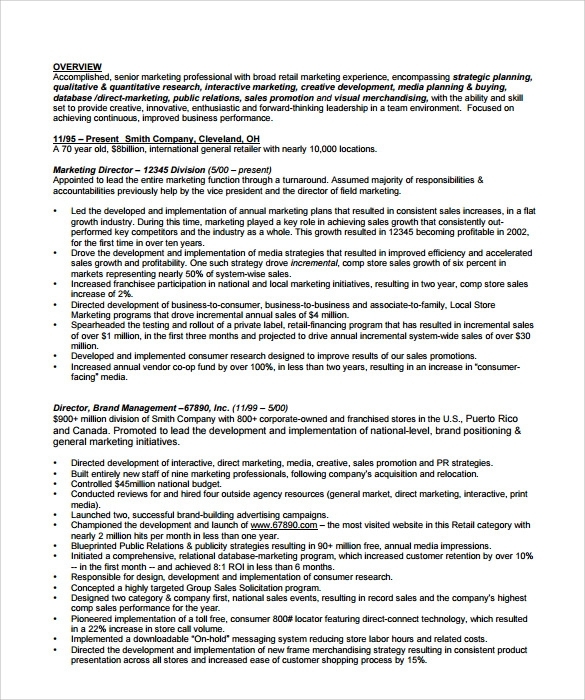 This resume uses a double color scheme namely white and red. The various skills of the candidate are denoted by images which is quite innovative. The key points in the resume are written in bold red fonts while the points below them are written in black fonts. 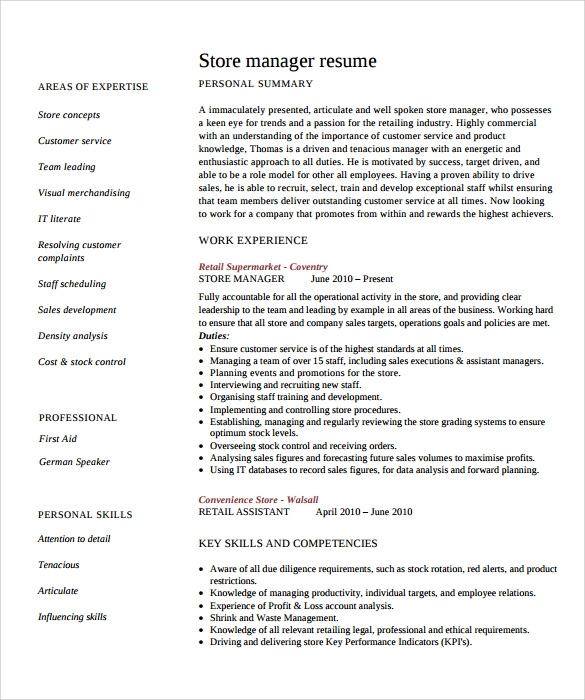 This example of store manager resume sample highlights the contact details of the employee on the header in grey background. The contact details are followed by personal career statement, demonstrated skill sets, employment history, job responsibilities and end with a summary of his educations and interests. 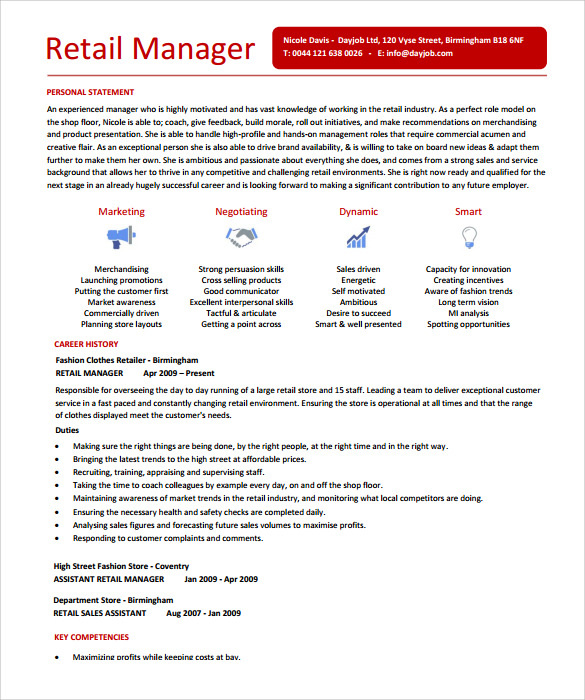 This sample of store manager resume is ideal for the HR’s of any company, who wish to hire store managers. This sample contains a list of required skill sets, knowledge and abilities along with a set of interpersonal abilities required for the aforementioned position. 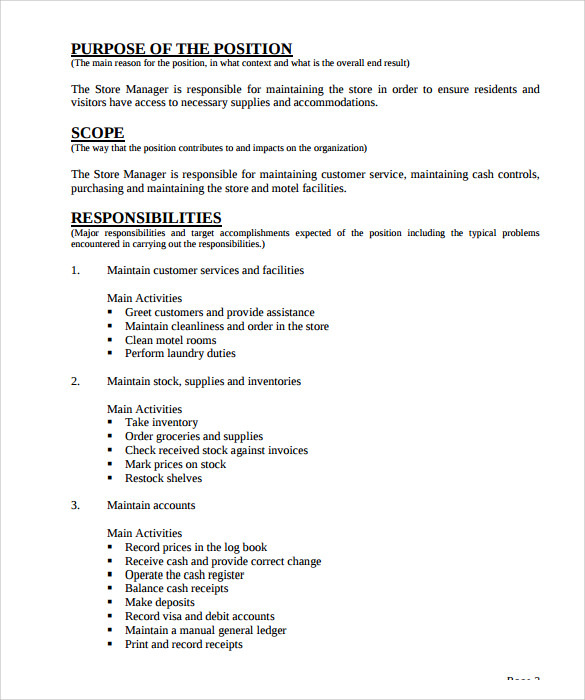 This sample resume of a store manager resume is ideal for a person with lot of experience in this domain, as the resume lays a lot of stress on the overall job experience of the candidate and explains in details all the position he had held during in the past and a list of his various responsibilities. Other information regarding his education and job objectives are written just in one or two lines. 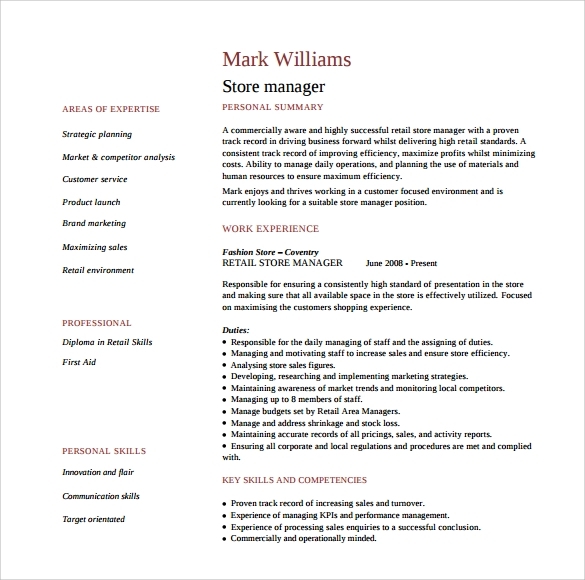 This store manager resume sample is available in PDF format and is absolutely free for download. The resume is written in a very clean and professional manner with all the important points highlighted with bullet marks to them eye catching. Stress is laid on professional accomplishments and details regarding professional qualification are summarized in a single line. 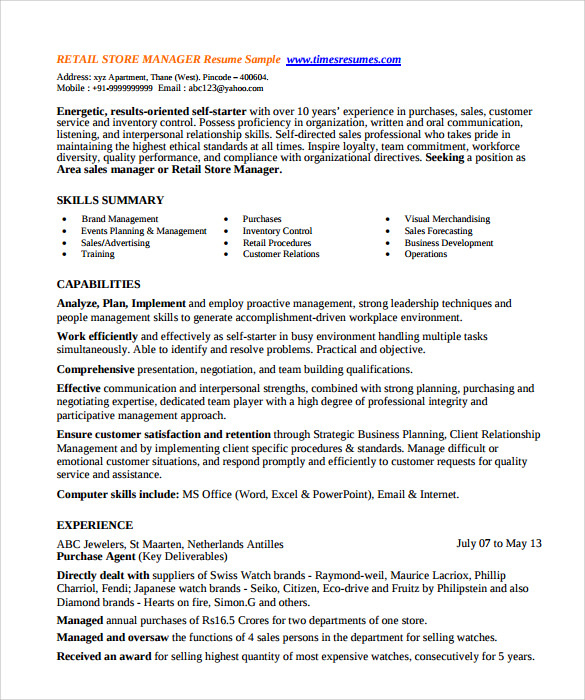 This template of free store manager resume is intended for the use of the HR team of the company. The template helps a candidate to understand his job responsibility, the scope of his job and various responsibilities that he would be required o undertake as part of his profile. 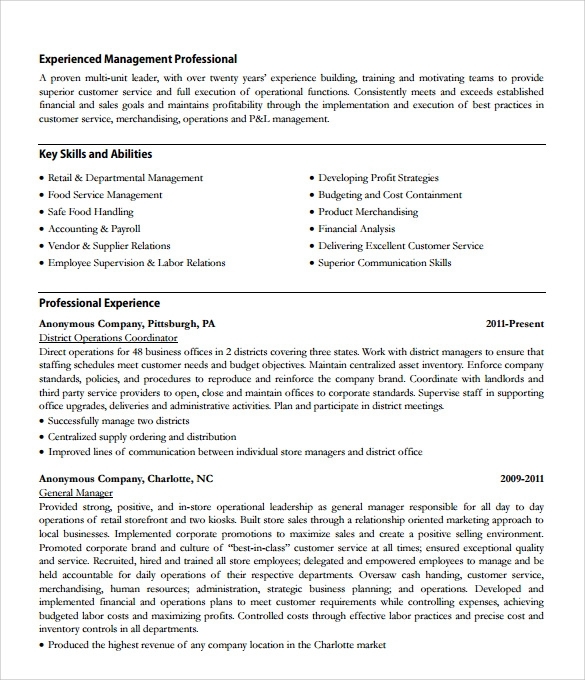 This sample store manager resume is meant for a person with lots of experience in the domain of operations and sales. The resume starts by giving the reader a brief overview of his achievements over the course of his career, followed by a list of his experience in various companies. The job of a store manager is a widely sought after one both by individuals as well by companies operating in various domains. The above given examples would help you to draft a resume that would increase your chances of getting a job significantly.